Getting out of the car on arrival at Rhino Sands Safari Camp, and being met by Zola and her smile, I immediately felt like I was being welcomed home. This was though my first visit to the camp. Walking into the open sided main lodge and treading the wooden floor boards I looked up at the tent like canvas roof, before trying to take in all that lay before me. This camp has a wow factor. A huge amount of thinking, planning and styling has gone into this relatively new lodge. Leather and neutral coloured fabric sofas and comfy chairs come complete with throws and blankets in contrasting bright colours. Add in a variety of printed cushions, chandeliers, wooden side tables, natural ornaments and artwork and everything comes together perfectly. Camp manager Jared is next ‘to welcome me home’ and show me to my room. The wooden walkways from the main lodge to each room curve around mature indigenous trees. In some places trees have been allowed to grow through holes specially cut into the walkway. 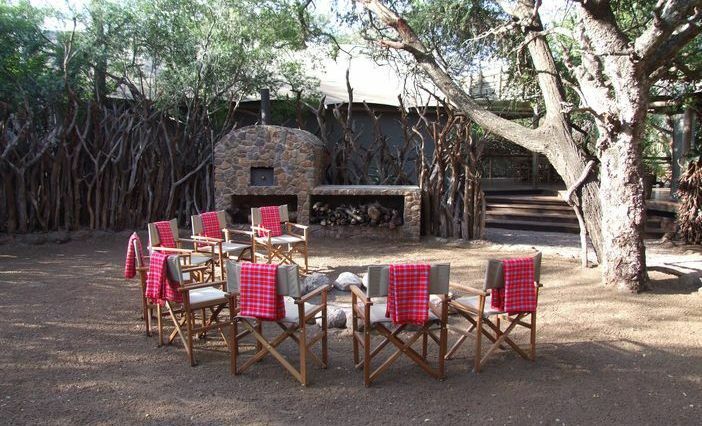 The reason behind this is the camp was constructed with minimum impact on the bush, including all its fauna & flora. By leaving all the trees in their rightful place birds and animals, like bushbaby’s, continue living relatively undisturbed. 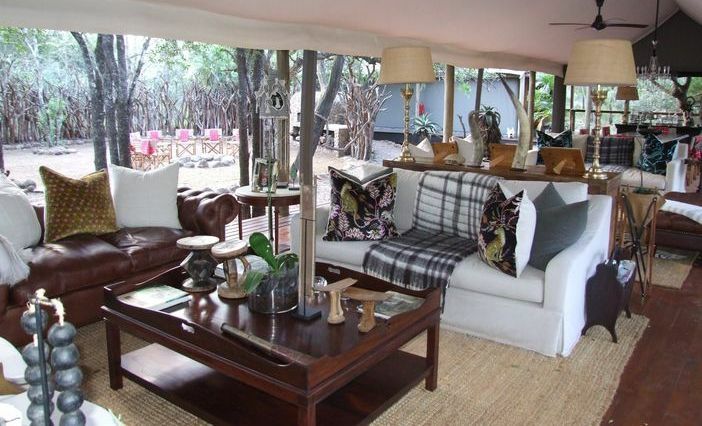 Being eco friendly was a big issue for the camp owners, Del & Shannon, and they have created an off grid low footprint stunning and luxurious camp. If, like me you love taking a shower outdoors, and all rooms here have the option of this, you will need biodegradable soap. I now carry this with me at all times. My room also had that wow factor. Again all under canvas, huge centrally located bed looking directly into the bush, en-suite bathroom and a lounge area for relaxing. The surrounding decking came complete with private plunge pool and deck chairs. As I sat on a deck chair Nyala antelope casually strolled by, stopping only to graze, and giving me only the slightest glance. At night all walkways and decks are illuminated by solar lanterns. Beyond the lights from the pitch black of the Zululand night came only sound: Owls hooting, lions roaring and leopards snarling & grunting. I shared the camp with the Welschen family, all six of them on holiday, from the Netherlands. The made to feel at home feeling was infectious. 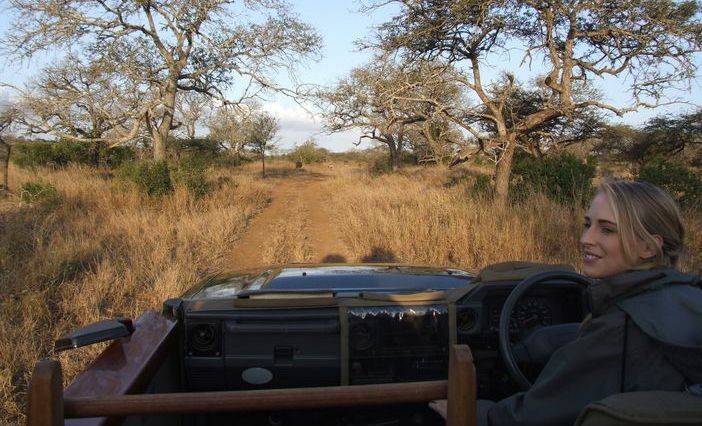 We sat together in the game viewing vehicle and shared a table for dinner in the camps open boma area around a blazing fire. All meals were events in themselves. Chefs Mike and Bongani produced food equal to any five star restaurant from their off grid kitchen surrounded by African bush. As we dined Sipho ensured we were very well looked after and went short of nothing. Lunch consisted of honey & soy glazed chicken served on a bed of chargrilled butternut & French beans. For dinner it was braised pork belly, curried corn puree accompanied by stir fried vegetables. I am normally not one for dessert, however, the chai tea panna cotta was divine. 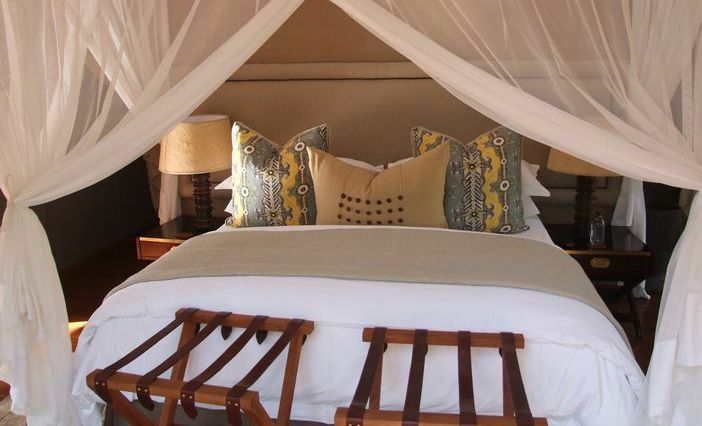 Rhino Sands Safari Camp is located in the Manyoni Private Game Reserve. 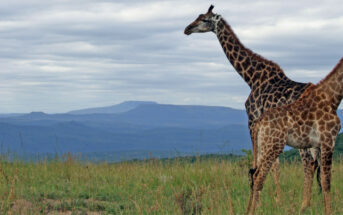 The reserve has all the game you would expect to find, including Africa’s big 5, plus cheetah and wild dog populations. It is also rapidly developing into a bird watchers hot spot. 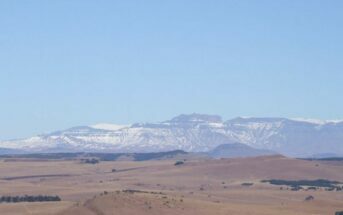 Highlights for me were: Shrikes, including the gorgeous bush, orange breasted, white helmeted and grey headed ghost. Kingfishers, striped and brown hooded. Eagles, tawny, brown snake and bateleur. 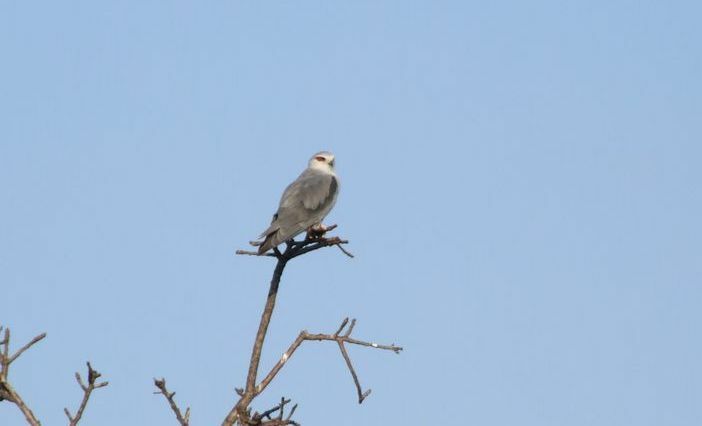 Black shouldered kites and white backed vultures, little bee eaters and eastern nicator. 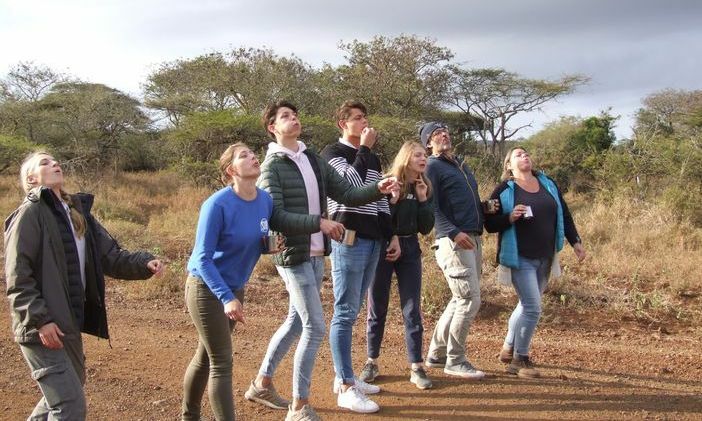 Vicky our Rhino Sands Safari Camp ranger was an excellent birder and her enthusiasm made every sighting one of great excitement. At a waterhole we sat and observed a classic African scene. The fever trees that surrounded the water had vervet monkeys in them playing & feeding. A yellow billed stork also sat on an overhanging branch looking down on a pod of hippo. 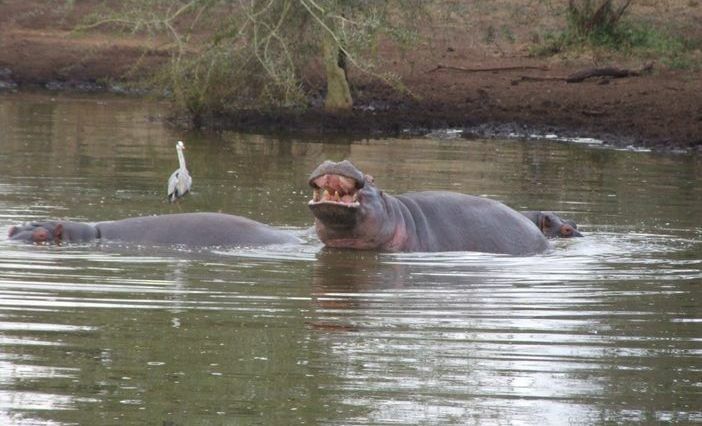 On one of the hippo stood a heron, using the hippo as a moving fishing platform. Catfish could be seen swimming in the clear water and this enticed at least three crocodile to enter the waterhole and hunt down the fish in the shallows. It was from this water hole that we heard the roaring of lions. Vicky, now super excited and overflowing with enthusiasm, took us in the direction of the noise. We did not have to travel far or wait long before another scene unfolded and played out in front of us. 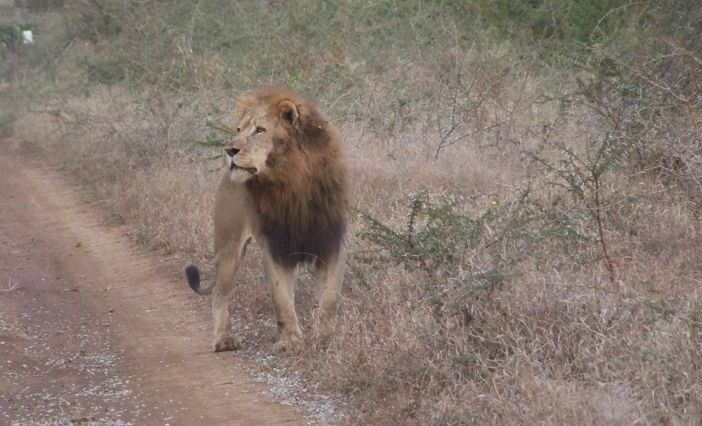 Three magnificent Manyoni male lions were marking their territory. They were showing their dominance to lions of a neighbouring reserve. 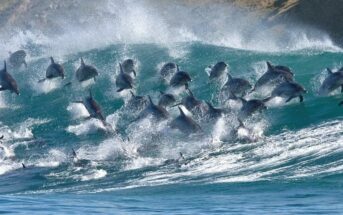 They paced, they scent marked and they roared. But the biggest thrill was a mock charge from one of three who sprinted at full pace before abruptly coming to halt in a cloud of dust.